Narrow strip steel rolling mill improves quality control by monitoring material thickness using non-contact measurement system. 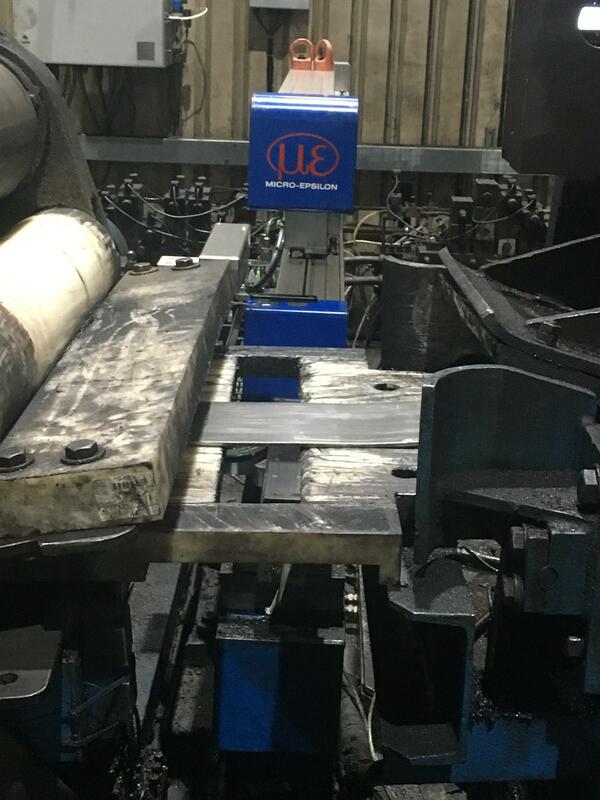 A UK-based steel producer has installed a non-contact inline thickness measurement system from Micro-Epsilon directly in its slitting line to accurately measure the thickness profile of narrow steel strip as it is cold rolled from coils. Based on sites in Stocksbridge and Rotherham, Liberty Speciality Steel produces high value, precision-engineered alloy and stainless steel products for use in demanding sectors such as aerospace, oil and gas, bearings and industrial engineering, as well as bright bar and narrow strip for customers around the world. Part of Micro-Epsilon’s thicknessCONTROL MTS 8202 family, C-frame systems measure the thickness profile of flexible metal strip. C-frame systems can be installed in hot and cold steel rolling mills, as well as slitting, coating, casting and cutting lines, providing reliable, high precision measurement results that creates a basis for controlling the production process and product quality. C-frame systems measure differentially. The measurement system installed at Brinsworth uses two scanCONTROL laser profile sensors that are integrated in the upper and lower arms of the C-frame. The thickness of the strip is derived from the distance between the two sensors and the resulting signals. By combining highly efficient signal processing algorithms and visualisation software, the system is able to achieve accuracies in the single micrometre range. At Brinsworth, the C-frame is used as a traversing thickness measurement system on linear axes. The control and analysis software is developed in-house by Micro-Epsilon, providing all the required functions in order to continuously record and evaluate production quality. This includes graphical user interfaces and the ability to store multiple product libraries. Also, the software supports and displays Statistical Process Control (SPC) parameters and other ‘Process Capability’ analysis and reporting methods such as Six Sigma ĈPK and ĈPM. Various fieldbus interfaces are available, which enable integration to the customer’s production control systems. As for the measurement system itself, Andy Spalding says “the capability of the profile measurement gauge to constantly measure our processed strip has enabled us to make changes to our production processes to meet the demands of the customer whilst also increasing productivity. The profile gauge has also enabled us to further strengthen our customer supplier relationships,” he concludes. Micro-Epsilon’s Systems Group specialises in the development, manufacture and installation of a comprehensive range of non-contact, inline measurement and inspection systems for process monitoring and quality control applications. These include specific measurement systems for metal processing applications, including thickness, length, speed and width measurement of steel (including polished stainless steel) and aluminium strip, coil, sheet and tube.